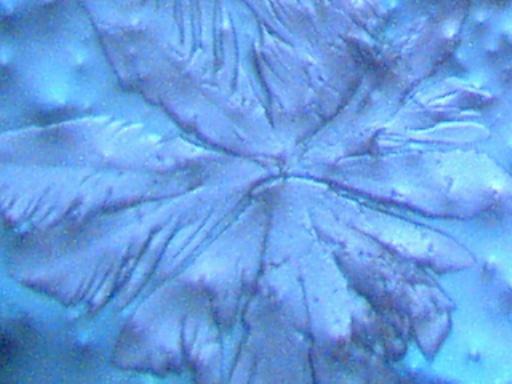 Methods of crystal chemistry are now being used to examine rainfall samples on a repeated basis. Results thus far indicate substantial levels of metallic particulates within the samples, with a special emphasis upon magnesium. 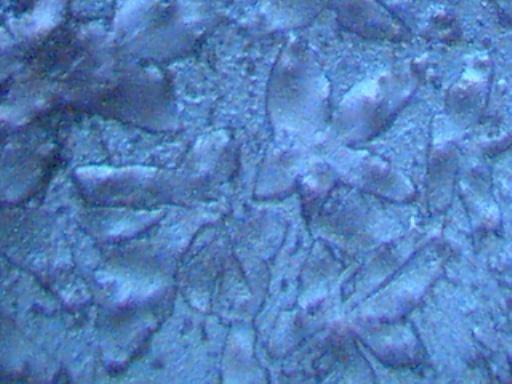 The following are microphotographs of crystalline forms that have been developed from a set of chemical analyses. The majority of these images are at a magnification of approximately 500x. Positive and unique crystalline forms are now available for identification, and any assistance to this end is appreciated. The systematic elimination of any crystal forms that do not satisfy all visual or chemical properties observed is also required. Collection of rainfall samples in clean containers is encouraged by all citizens across the nation. The methods that have been developed exploit the electromotive series of the elements, i.e., some metallic elements are more reactive with certain elements than with others. Analysis of the aerosol operations by a combination of methods repeatedly results in considerable attention being given to the elements of Group II of the periodic table (e.g., magnesium calcium, barium). The crystalline form that is primarily shown on this page is most currently and best assessed by myself as magnesium chloride, a derivative product of the qualitative chemical analysis that has been performed. Any information that provides a contrary identification of this crystal form is welcome along with the associated rationale for that decision. It is expected that crystal chemistry will assume a valuable role in the identification of certain particulates that are now readily documented to exist at inordinate levels within the atmosphere, and that are in direct association with aerosol operations conducted across this country for the last 2 1/2 years without informed consent. The methods are simple to perform, inexpensive, and are subject to specific chemical tests by all interested researchers. 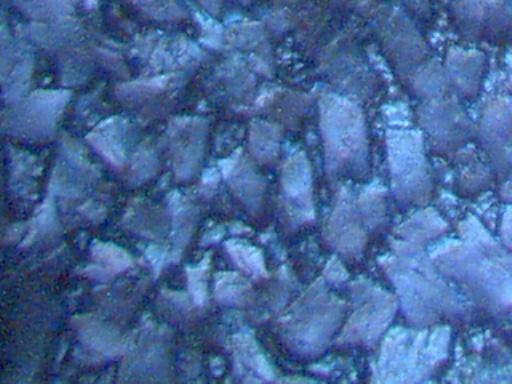 The crystals can be initially examined with a relatively inexpensive consumer grade microscope, as this size is sufficient to identify unique formations at relatively low magnification (e.g., 100x). 1. Approximately 30ml of a rainfall sample collected on Jul 02 1991 was placed in an Erlenmeyer flask. 2. Simple distillation was performed on this sample, and the volume was reduced from 30ml to approximately 4ml to concentrate the sample. 3. Step 2 is optional based upon earlier testing and methods, however, it is found to be beneficial if the sample can be concentrated through distillation or evaporation. Maintaining purity of the sample will be especially important if evaporative methods are used. Results similar to those being presented have been achieved without the use of distillation or evaporation, i.e, rainfall in original concentration. 4. The remaining 4ml sample was then transferred to a test tube. 5. At the end of the distillation procedure, fine particles of apparent metallic form were readily visible within a test tube held up to a bright light. 6. The 4ml sample was then divided evenly among 4 test tubes, each consisting of approximately 1 ml. of rainwater concentrate. 7. The first test tube was left unaltered for control purposes. The heat of the distillation process appears to introduce an oxide reaction which is visible from the evaporation results that use this control sample. The second test tube received 1-2 drops of copper sulfate solution. The third test tube received 1-2 drops of cobalt chloride solution. Lastly, the fourth test tube received 1-2 drops of ferrous sulfate solution. These solutions were chosen because of the electromotive series mentioned earlier; elements of magnesium, calcium and barium will be expected to react positively with these salt solutions that were chosen. 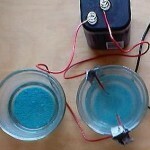 Of these solutions, the reaction would be expected to be the strongest with cobalt chloride, followed by ferrous sulfate and copper sulfate because of the electromotive potential differences. These chemicals are not especially difficult to acquire; copper sulfate will be available at aquarium supply shops, and the remaining solutions can be acquired through consumer grade chemistry sets. The general nature of the reaction that will occur in these cases is that free ions of the candidate metal, if existent, (e.g. magnesium, calcium, barium, etc.) will replace the metallic component of the salt solutions used. For example, if magnesium is contained within the sample, magnesium sulfate will form within the second test tube, magnesium chloride will form in the third test tube, and magnesium sulfate will again form in the last tube in reaction with ferrous sulfate. 8. Extremely fine particulate matter within the rainfall samples appears to be readily visible after these chemical reactions are established, identifiable by holding the test tube to a bright light. The amount of material appears, to this observer, to be unusual and unexpected. 9. A single drop of each of the four solutions is then placed on an individual microscope slide. It is left undisturbed and allowed to evaporate completely. 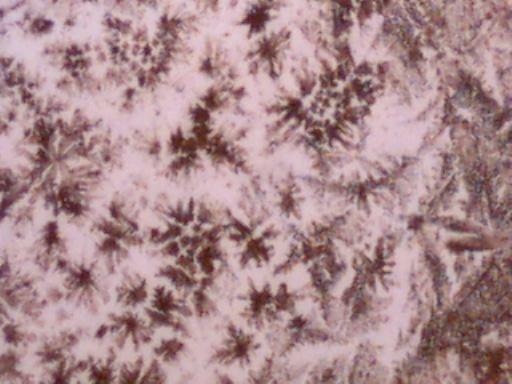 During the process of evaporation, obvious and easily visible crystalline forms have developed from each of the rainfall samples under examination. Distillation appears to aid considerably in concentrating the particulate matter within the samples, and crystalline forms are readily visible in all cases. A solid visible crystalline layer across the area of the drop has formed in all cases with the use of the sulfate and chloride solutions. 10. 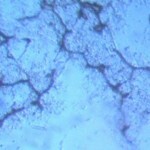 The crystals are then analyzed under the microscope or other suitable examining equipment. 11. Visual and further chemical identification is then to take place by all participating researchers. Magnesium sulfate crystals have been previously developed with the use of the copper sulfate solution, and those results are presented on a previous page. Magnesium sulfate crystals have been again identified, to the best of my ability, with the use of both the copper sulfate and the ferrous sulfate solution during this most current test. This page is devoted to the presentation of what is, by the best analysis currently available, magnesium chloride crystals. This indicates the existence of ionic magnesium (Mg+2) within the rainfall sample. The magnitude of crystallization as well as visual examination of the sample prior to crystallization indicates inordinate levels of highly reflective particulate matter within the rainfall concentrate. One characteristic of the magnesium chloride crystal is a hexagonal structure. 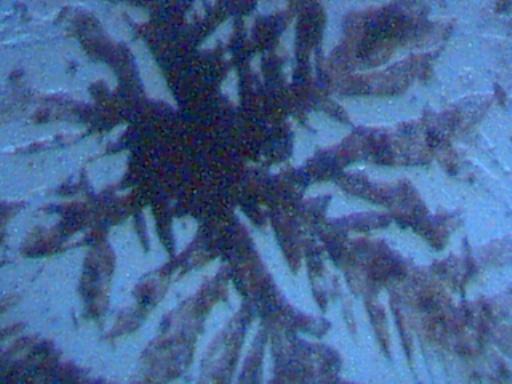 The base form of the crystals under presentation have a definite hexagonal basis that is especially viewable under the microscope during the crystallization process. 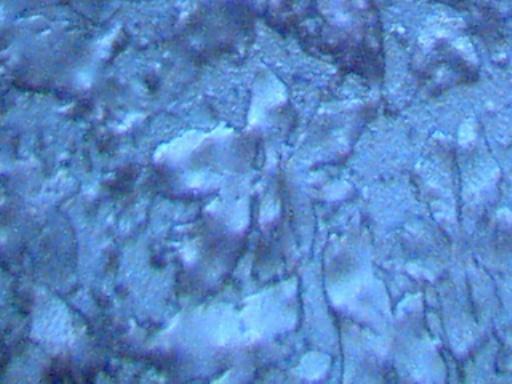 In addition, there is a very strong polarizing effect visible within these crystals under the microscope. This will exist as one of the identifying characteristics of this crystal under examination. Polarizability is “a measure of the response of a molecule to an external electric field” (Oxford Dictionary of Chemistry, 2000). The crystal shown here is easily soluble in water. As has been mentioned, any identification contrary to that of magnesium chloride will be accepted if the appropriate rationale is provided. Another attribute which supports the identification of this crystal as magnesium chloride is its deliquessence. The crystals shown undergo a major transformation in form after exposure to the air for 24 hours, and they essentially disintegrate. Deliquessence is defined as “the absorption of atmospheric water vapor by a crystalline solid until the crystal eventually dissolves into a saturated solution” (McGraw Hill Dictionary of Chemistry, 1994). 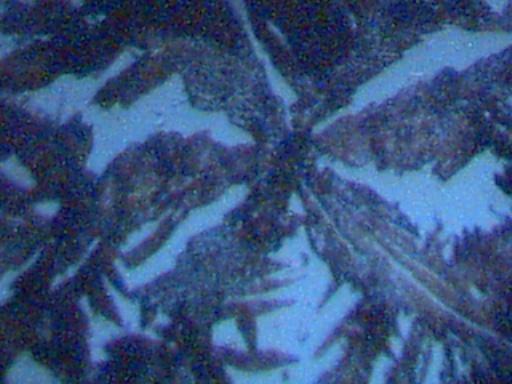 The first four microphotographs show the crystal structure in an original form as developed through the methods describe above. Photographs 5, 6 and 7 show the reaction of the crystal to heat. 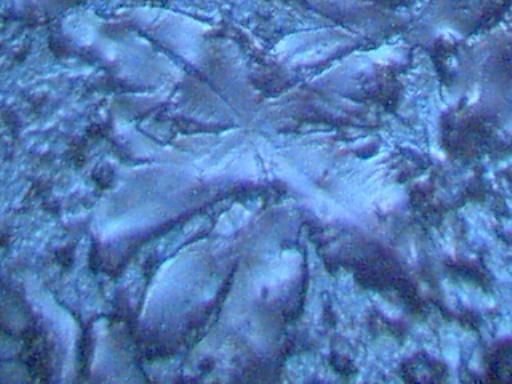 Again an oxidized form appears to result, and the visual signature appears to be quite unique which should aid all researchers in the identification process. Photograph 7 shows a cubic or block form of crystal which occurs within isolated patches of the slide sample shown. Discussion of that crystalline form will be reserved for a later time as it is now a minority representation. It is hoped that all researchers will investigate and employ the methods that have been outlined, as well as any variations in technique that prove to be beneficial. It is hoped that researchers will engage in accurate identification of the crystalline forms that can now be developed with relatively simple means. It is hoped that quantitative assessments and comparisons to expected baseline values of particulate concentrations will be made. Any revisions or corrections to this presentation will be made as is appropriate. Rainwater distilled, subjected to cobalt chloride, and crystallized upon evaporation. 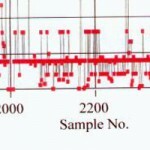 Isolated patches only of this form are found within the samples examined.